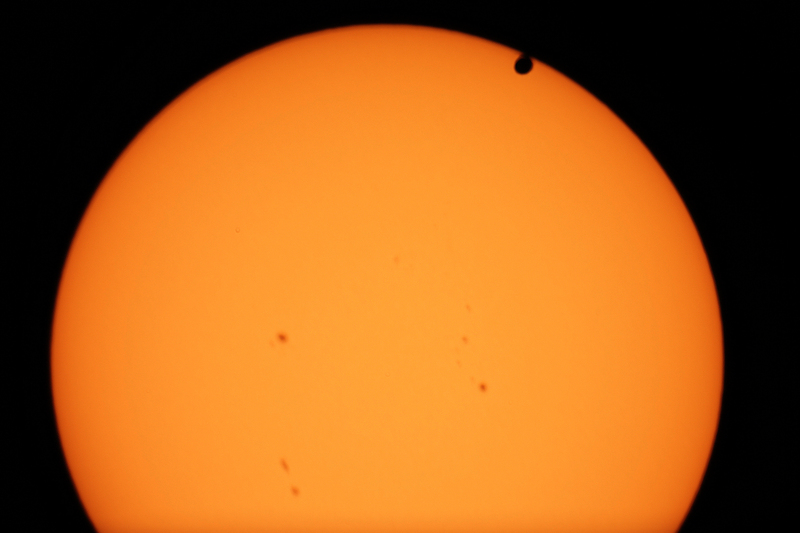 The last transit of Venus until the year 2117 was viewed under clear skies by a large crowd of folks in our community at the Asheville Area Chamber of Commerce. 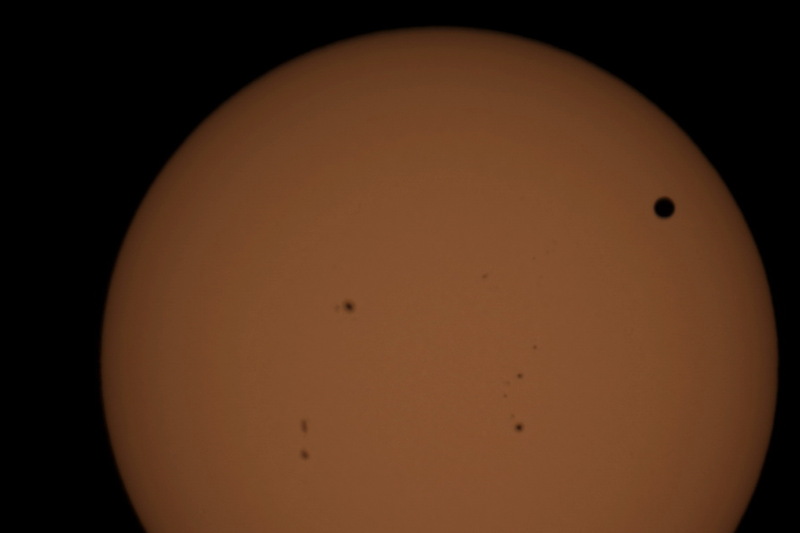 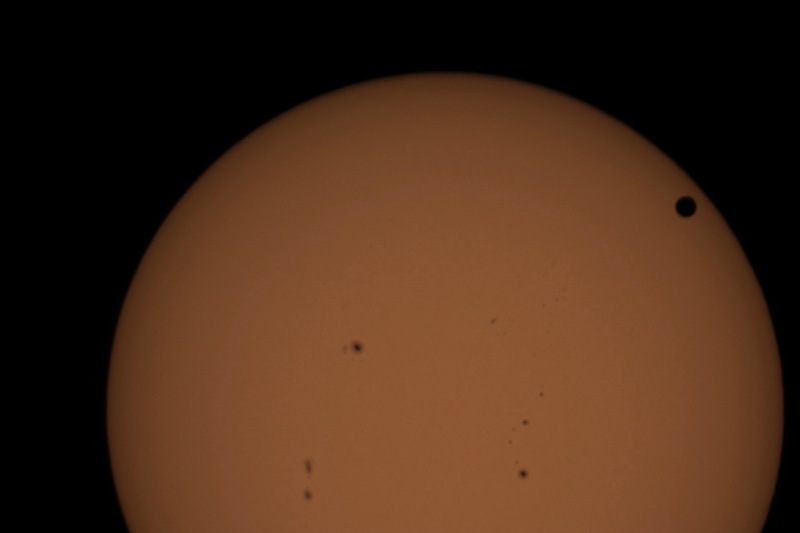 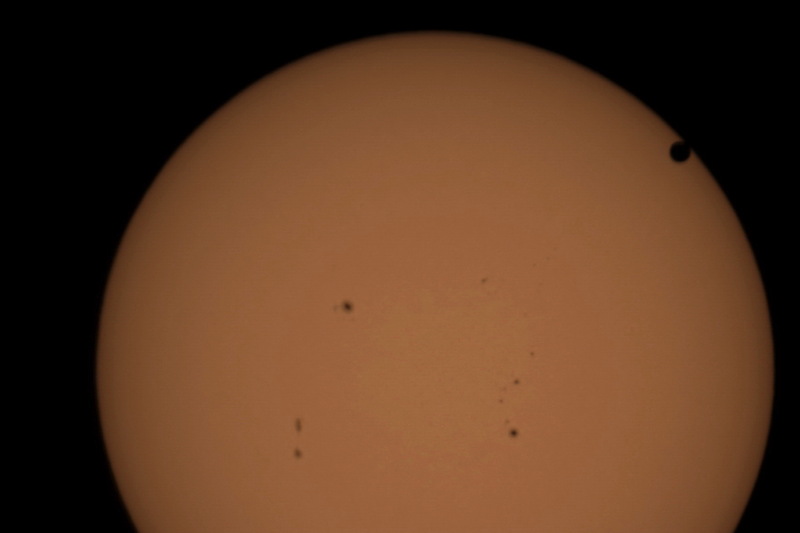 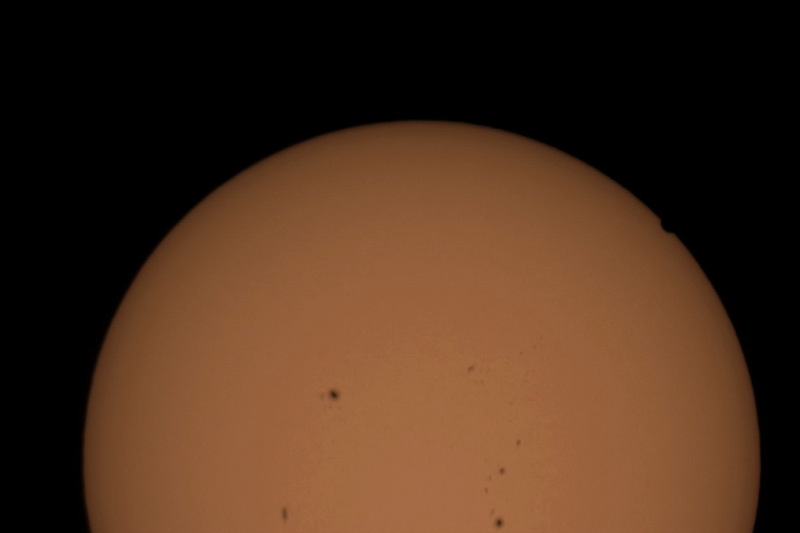 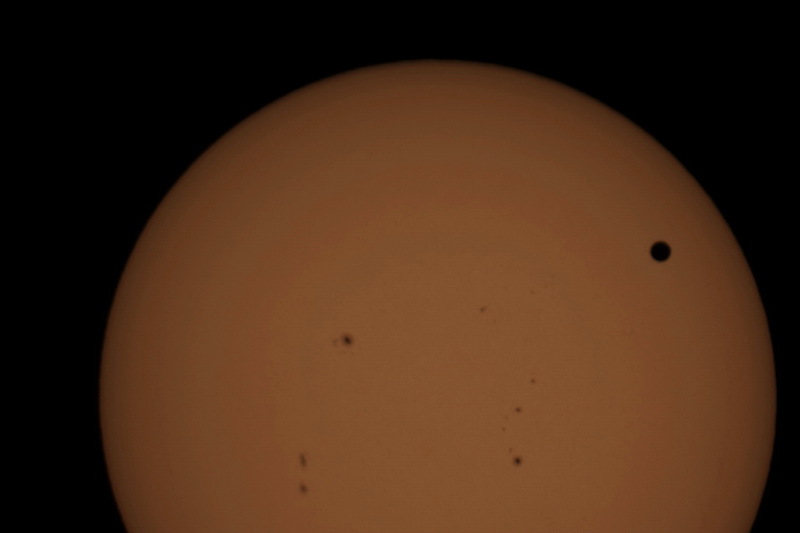 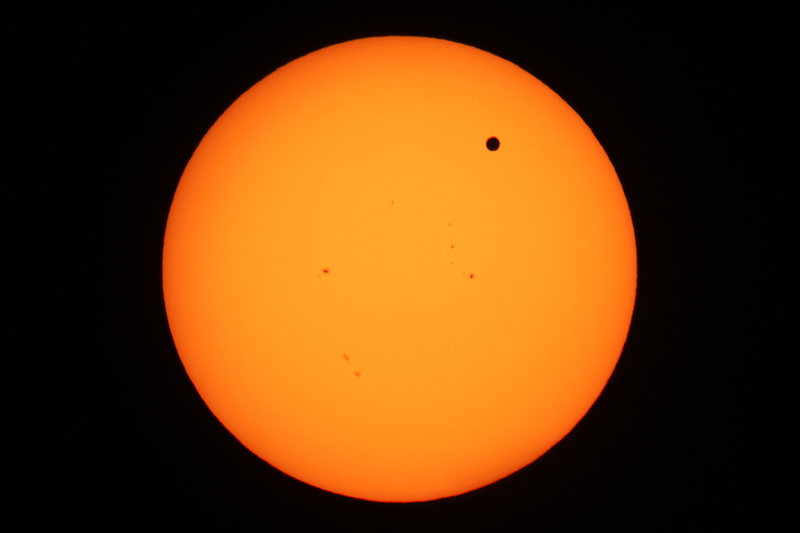 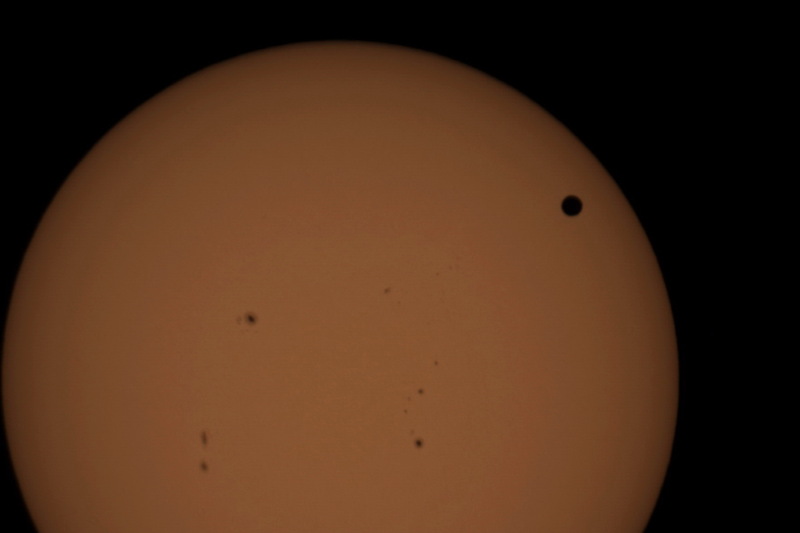 See this presentation for more details and an explanation about the Venus transit. 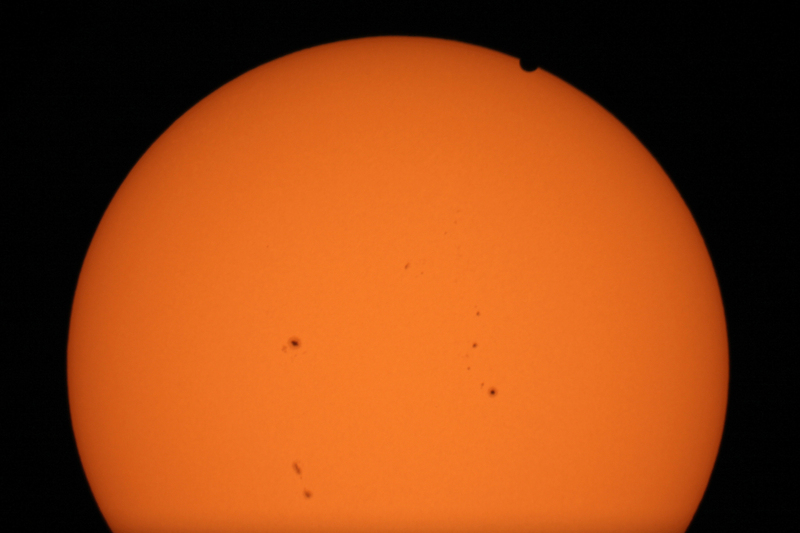 2012 Venus transit images below. 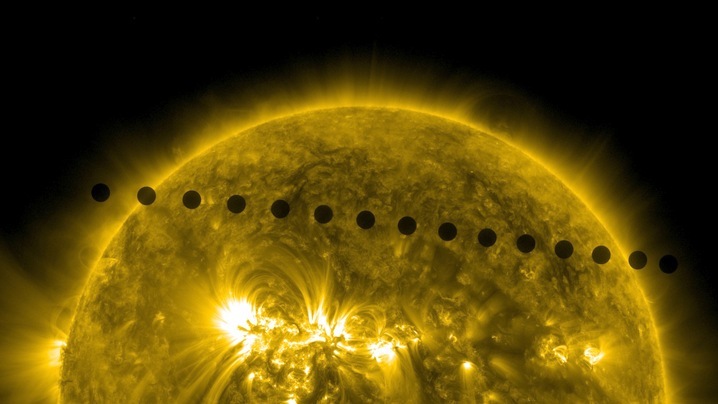 The above image, snapped by NASA's Solar Dynamics Observatory, shows the path of the 2012 Venus transit, as the planet crossed the northern hemisphere of the Sun.